Marlboro - I Say Ding Dong Shop - Buy Stickers, Decals & Unique Automobilia. 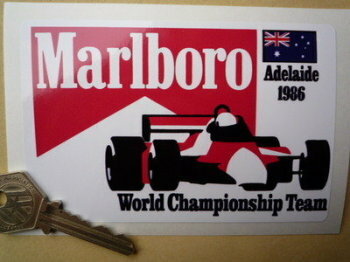 Marlboro Adelaide 1986 World Championship Team Sticker. 5". 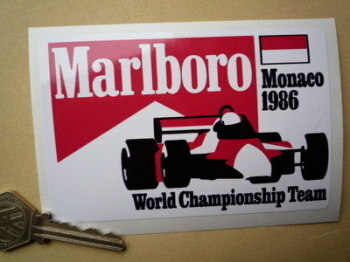 Marlboro Birmingham Super Prix F3000 Sticker. 5". Marlboro Cut Text Style A Sticker. 18" or 22.5". Marlboro Cut Text Style A Sticker. 4" or 6.5". 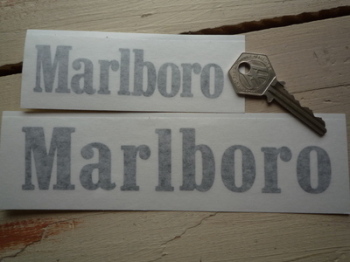 Marlboro Cut Text Style B Sticker. 31". 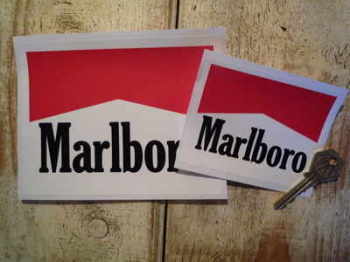 Marlboro Cut Text Style B Sticker. 6". 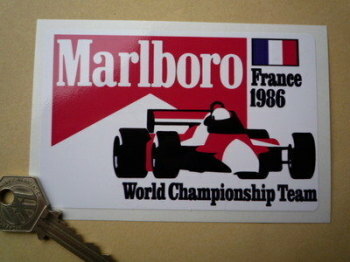 Marlboro France 1986 World Championship Team Sticker. 5". 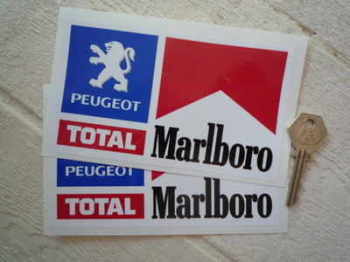 Marlboro Logo Stickers. 3", 4" or 6" Pair. Marlboro Racing Car Small Sunstrip Style Sticker. 43.5". Marlboro Racing Car Sponsors Sticker. 19.5". 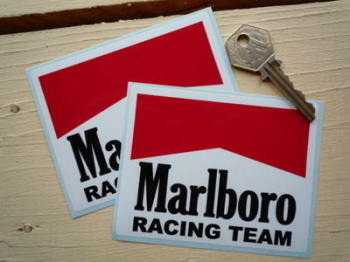 Marlboro Racing Team Body or Window Stickers. 4" Pair.